Directories – list of names and addresses of persons, organization or institutions. 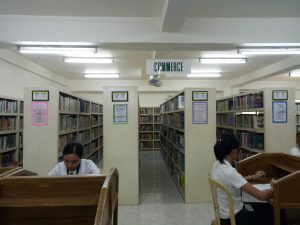 – This section houses books on business, management, accounting, marketing, agribusiness, economics, hospitality management and other fields related to commerce. 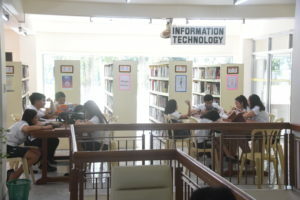 – The Engineering Section houses books on mathematics, chemical engineering, electronics communication, food technology, materials science, electrical engineering, computer science, information technology and other fields related to engineering. – The Political Science books composed of books on international relations, government & politics, political economy and subject related to political science. Education resources include books on general education, special education and early childhood education and other subjects related to education. – The Nursing Section comprises of books on general health care and practices, community nursing, pediatric and geriatric nursing, psychiatric nursing, maternal nursing, medical and surgical nursing and other related nursing subjects and references. 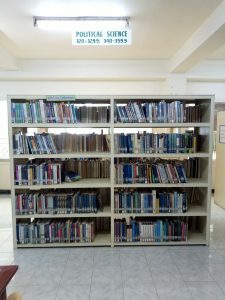 – The Reader’s Services Section provides information reference services to users like assisting retrieval of library resources, online searches and marketing library services and programs. This is located at the 2nd floor of the Learning Resource Center building. 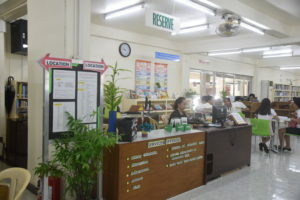 – The reserve section is where books on demand with limited copies are placed. 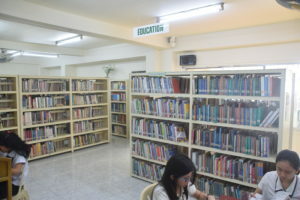 Faculty members can also place personal books on reserved for room use only. 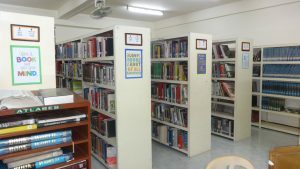 – This section house books about Asia and nearby countries such as Indonesia, Malaysia, China, Korea, Japan and Singapore. Also on display in this section are distinguished markers, flags, ornaments that represent a particular nation. 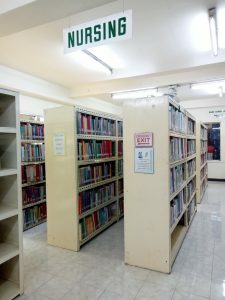 – This section houses the personal collections of the late Senator Jose Locsin, physician, a former legislator and an outstanding philanthropist. The collection includes original manuscripts of his speeches on different occasions and languages. The collection also includes books on medicine, history and Spanish. 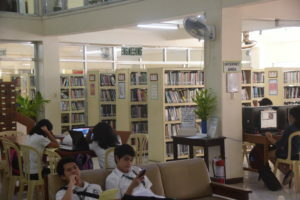 – The Special Collection section serves to augment the information and research needs of students and researchers. All resources in these areas are for room use only.